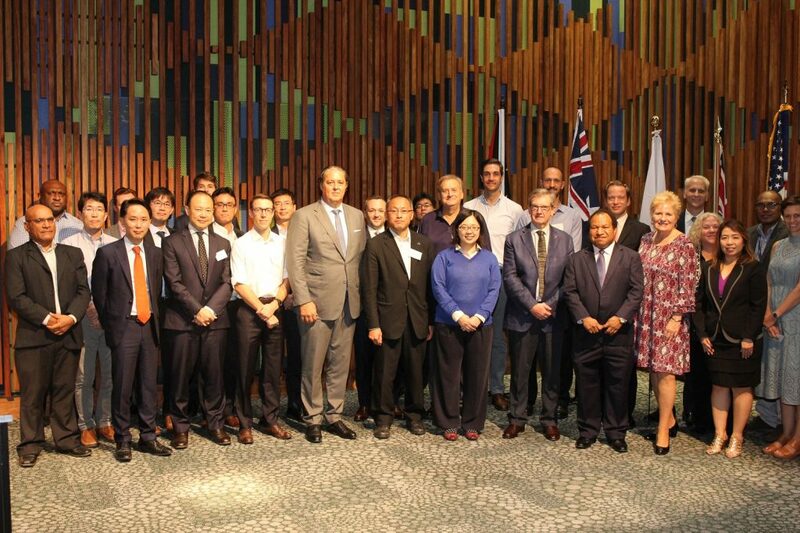 Wednesday 10th April, 2019 – Port Moresby: Kumul Consolidated Holdings (KCH) met with Australian, Japanese, New Zealand and United States government representatives in Port Moresby today, for talks on building key economic infrastructure across Papua New Guinea. Minister for Public Enterprises & State Investments, William Duma, welcomed the visiting delegations and was pleased by their interest in investing in Papua New Guinea. “These countries are our closest long-term partners. They have invested billions of kina in our nation’s economic development, for decades. Papua New Guinea prides itself on its track record of meeting its investment obligations and commitments. We have created an environment conducive for investment. This government is excited about the opportunities these new initiatives offer to promote infrastructure investment that is sustainable, transparent and provides genuine benefit to all Papua New Guineans,” Minister Duma said. Papua New Guinea is working closely with Australia, Japan, New Zealand and the United States to deliver on commitments made at the APEC summit in Port Moresby in November 2018. Under the PNG Electrification Partnership, announced at APEC and launched by Prime Minister Peter O’Neill last month, Australia, Japan, New Zealand and the United States are supporting the Government of Papua New Guinea’s goal of connecting 70 per cent of Papua New Guinean households to electricity by 2030. During the visit, the international team are meeting with Kumul Consolidated Holdings to explore opportunities to finance and deliver Papua New Guinea’s infrastructure needs. This includes options for grant funding from development agencies, concessional loans and commercial financing from export credit agencies. The team will meet ministers, government departments and state owned enterprises covering energy, telecommunications and transport sectors, as well as key private sector companies and multilateral development banks. 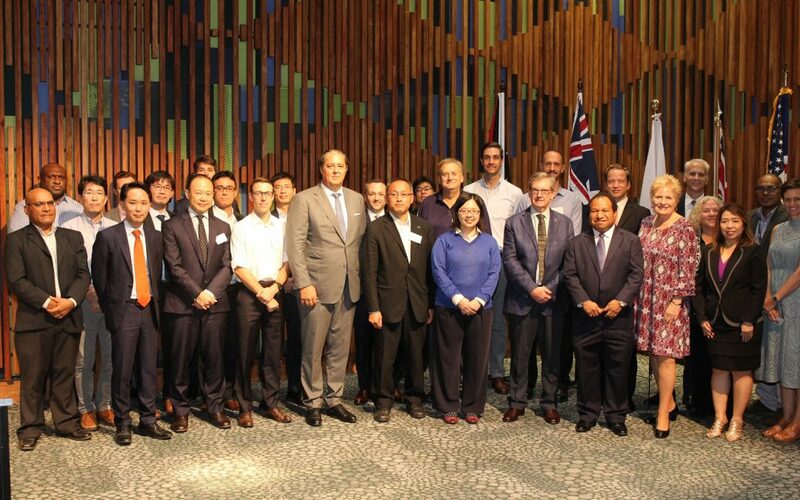 Kumul Consolidated Holdings (KCH) Managing Director Darren Young (front line, fifth from left) and Public Enterprise Minister William Duma (front line, ninth from left) with management representatives of KCH, heads of Diplomatic Missions and visiting delegations from Australia, Japan, New Zealand and the United States at the infrastructure investment summit.